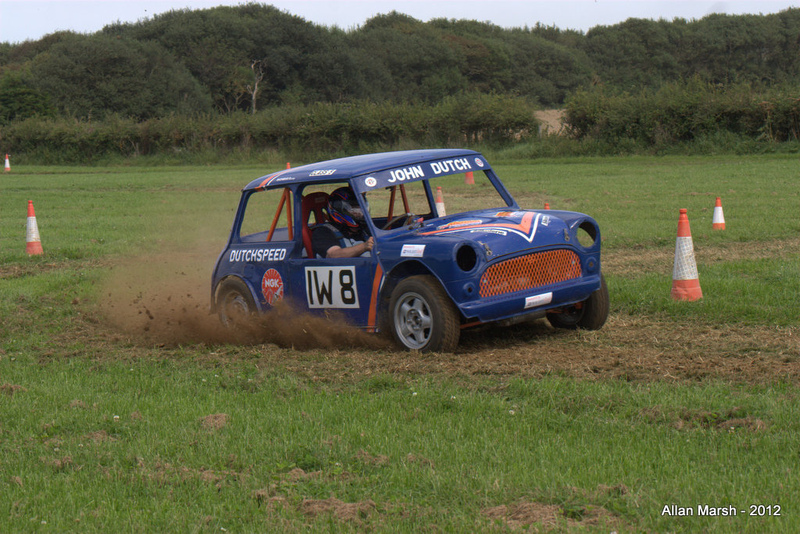 First to set the pace in RUN 1 was Steve Brett in his modified Mini posting a time of 1:18:58 closely followed Steve Stotesbury in his 4WD Scooby and then Dan Morgan. Thanks to so many of you for showing your support on Sunday, the weather was superb, the turn out was great and I don’t think anyone ever expected such a huge amount would be raised in 1 day! 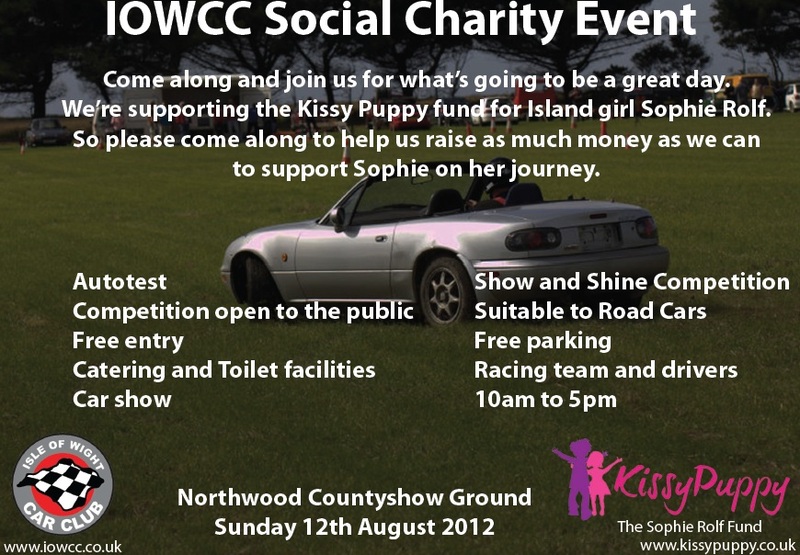 Thank you ever so much for doing your Club and the Kissy Puppy Charity proud! 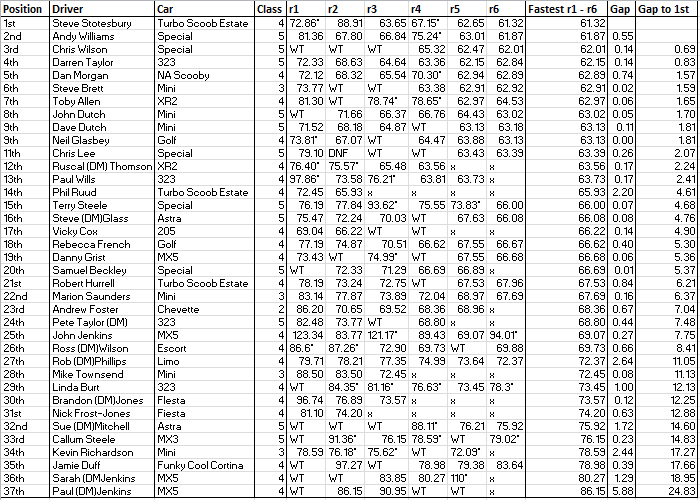 Results for the Auto test are available below; big Congratulations go to Steve Stotesbury for coming first!! Pictures, with many thanks to Allan Marsh here! – Fill in the details, name car etc. If you want a garage add it. – Extra drivers is an extra £25 and can be added on the first page. – In the card, add the code IOWCC and gain a 10% discount. – Each booking with the IOWCC Discount give 1 free passenger. Wow, what a fantastic day. Well done to all that came and helped to organise it. We’re having a count up of the donations, raffle money, entry fees etc on the 14th August. I’m sure it’s going to be a huge amount and the Sophie Rolf fund will greatly appreciate it. Alan was taking photos today so be sure to check the gallery page and you’ll see them once he has uploaded. Fire brigade and police coming, potential track day company offering a raffle prize.